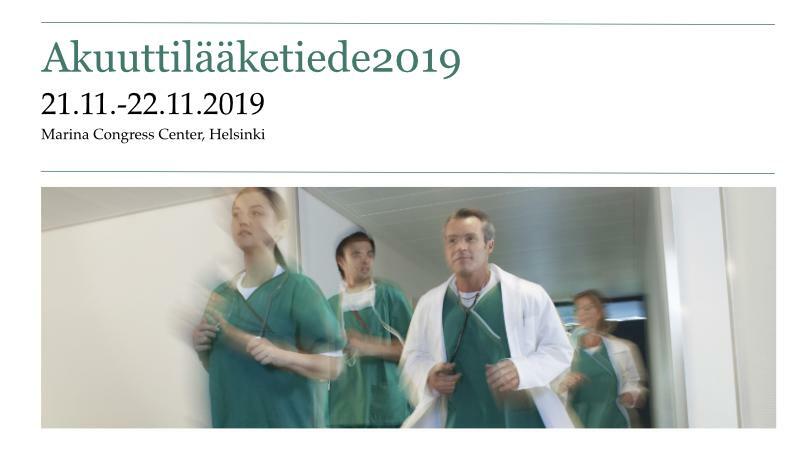 The annual congress on Emergency Medicine is organized in Marina Congress Centre in Helsinki by the Finnish Society of Emergency Medicine in cooperation with the Department of Emergency Medicine and Services of Helsinki University Hospital . The theme for the Emergency Medicine 2019 is teamwork. The sessions will include both practical topics, education and management. We will refund 75 % for the cancellations made before 31.10.2019 No refunds after 1.11.2019.